3 of the world’s foremost experts in the art and science of Tuning forks, Himalayan Singing Bowl and Crystal Singing Bowl will come together to demonstrate specific and detail protocoles for students to work with. As WE LEARN BY REPETITION, we are dedicating each afternoons for practicing the protocols demonstrated in the morning and overview by the respected teacher. 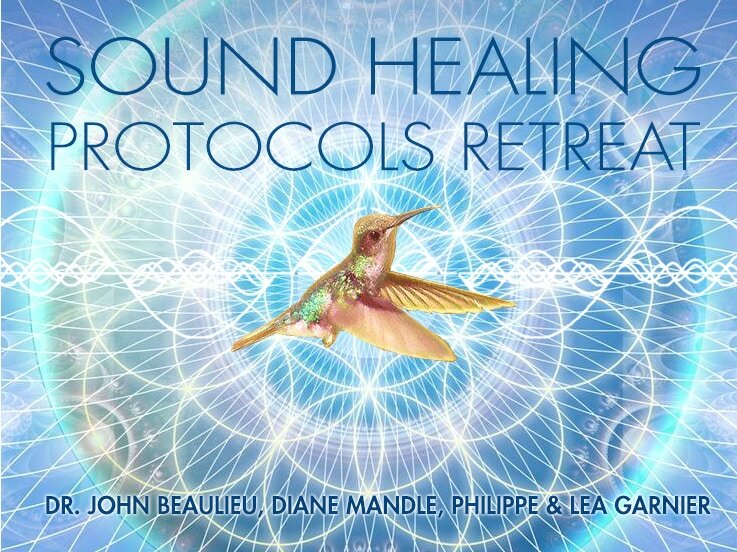 Under the guidance of these remarkable scholars, doctors, and sound healers, students will learn a Sound Healing Clinical format ready to use in their own practice. Participants will learn the therapeutic protocols and applications of the Tuning forks, Himalayan Singing Bowls and Crystal Singing Bowls with the aim to apply what they’ll learn and practice during the retreat to their clients, patients, friend and family to address a range of physical conditions, restore balance, and promote positive change at the cellular, mental and spiritual level. And special guests David Perez PhD. In the morning we will teach theory, how to use the tuning forks, and demonstrate protocols. These protocols will be written out and students will get a mini-manual. The protocols can be strictly physical i.e. putting the otto 128 etc. on specific areas for specific conditions and they can be auditory and verbal i.e. using written scripts that a student reads to another student and then taps the forks or plays a sound healing instrument. Or using very simple verbal affirmations with sound. And we will also have energy based protocols based on non-verbal sweeps of the energy body with the tuning forks based on energy currents. In the afternoon the students will use their mini manuals and practice protocols they want to experience. We will oversee and guide as necessary. Dr. John Beaulieu, N.D., Ph.D., is a Director of the BioSonic Enterprises, Ltd., a company dedicated to tuning the world. Dr. Beaulieu is a early creator of the his own ligne of therapeutic Tuning Forks. He is a composer, Mental Health Counselor, and board certified Naturopathic Physician. Dr. Beaulieu is an expert on Stress science, and oversees molecular research on the healing effects of sound and music. He is a professor of Integrative Health at CIIS University where he teaches sound healing methods to graduate students. He is the author of Music and Sound In The Healing Arts and Human Tuning. 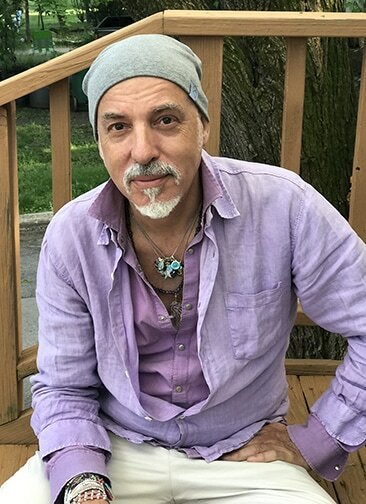 David Moises Perez is an Integrative Psychiatrist/Psychotherapist/Life Coach and Sound Healer currently in private practice in New York City since 1995. His work as a Sound Healer dates back to 1977 when he started a music therapy workshop that utilized the human voice as the primary therapeutic instrument for self-awareness, empowerment and healing. 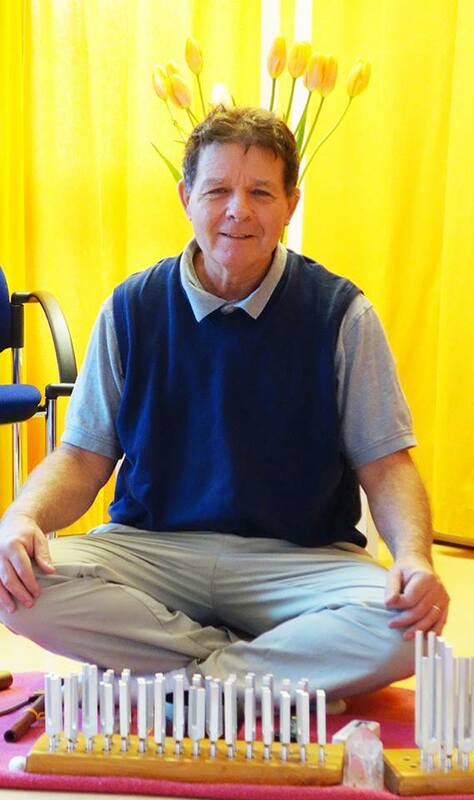 He will be sharing his experience with the integration of sound healing in his psychotherapy practice. David, an Integrative Psychiatrist/Psychotherapist, is part of the field of holistic health care as a mental health counselor in a pioneering comprehensive/holistic health care and social services agency in New York City that still exists today and has served as a model and incubator for similar agencies nationally and internationally. He was also a graduate student of Anthropology at the New School for Social Research where he was drawn to the work of Dr. Michael Harner in Shamanism. He received theoretical and experiential training on the practice of Shamanism and was invited by Dr. Harner to co-lead a graduate seminar on the subject. We will practice a bowl pattern utilizing the elements of pace, volume, rhythm, direction and intention for an individual sound healing session setting. we will also be listening for information from the harmonics of the bowls and practicing the use of the ghanta (bell) to bring up the voice of a bowl as well as the placement of the vajra to move energy within the session. Diáne Mandle is an internationally known Sound Healer, Teacher, Recording Artist with Sounds True and Author based in San Diego. 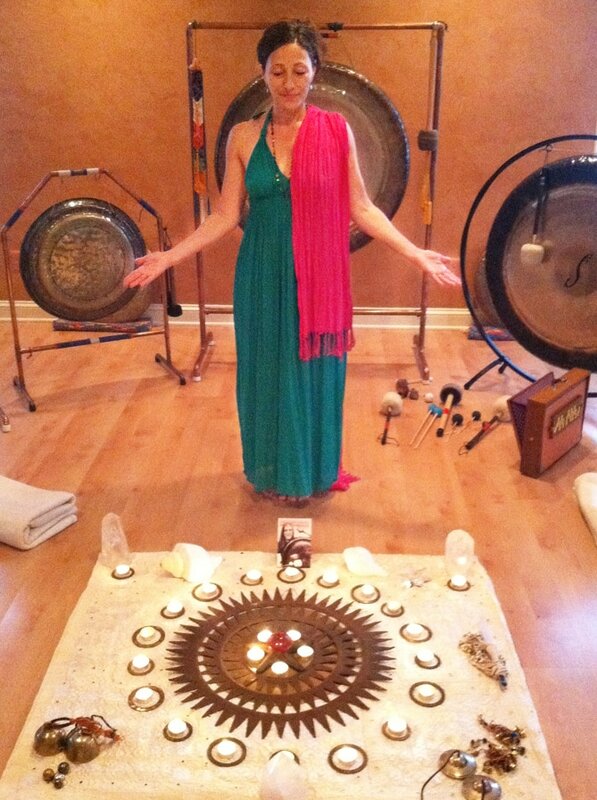 A frequent presenter at the Deepak Chopra Center, the Golden Door and Rancho la Puerta, she has been part of the Integrative Therapy Team at San Diego Cancer Center, has presented workshops for cancer patients and oncologists at Sharp and Scripps hospitals and developed and conducted a sound meditation program for incarcerated veterans with PTSD. 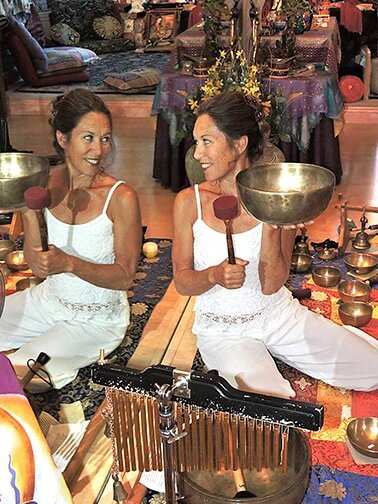 Diane offers workshops and concerts internationally and operates the Tibetan Bowl Sound Healing School in southern California. She is featured in the upcoming video series: Tao- Living in Balance along with healers such as Dr. Wayne Dyer and John Gray. Philippe Pascal Garnier, will be demonstrating a session and protocols on Crystal Singing Bowls, pyramids, and double pyramids from start to finish, to discover the optimal use of these special vibrational instruments in clinical context. We will learn about the natural affinity and resonance we hold within our crystal core consciousness and how to integrate it into an individual session to enhance the therapeutic outcomes of your clients. During class we will also learn how to rim a Crystal Singing Bowl and the spiral methods of using them during sessions. Originally from Paris, Philippe Pascal Garnier discovered the healing properties of sound 15 years ago during his quest to cease vertigo brought on by Ménière’s disease. Not wanting to undergo the operation doctors offered, he turned to alternative practitioners. Sharing times in the jungle with the indigenous doctors of the Upper Amazon in Peru he experienced a transformation that not only altered the course of his disease, but of his life. He pursued intensive training in Energy Healing and Sound Therapy. Philippe has been initiated into sacred ceremony and practice in a the Amerindian traditions training in techniques that facilitate healing of the soul and body. 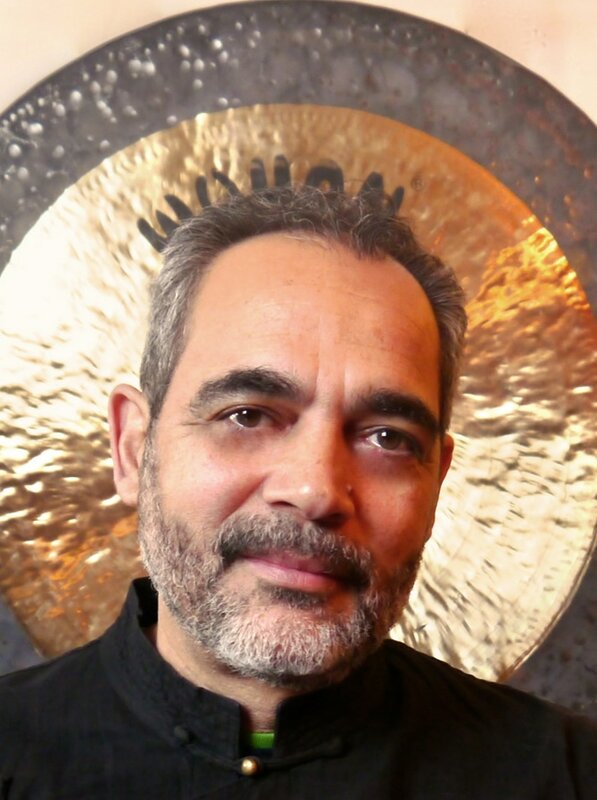 Many other teachers and original researchers into many aspects of sound healing linked to the Sage Academy have contributed to Philippe's broad-based education in the healing application of sound. Now working mainly in France Philippe still shares his expertise through the organization he co-founded and directs in Woodstock New York: Sage Academy Of Sound Energy. Philippe also teach yearly classes on Sonotherapy at the Ulster County Community College, a State University of New York public college, and he's a guest teacher at Sivananda Ashram in the Bahamas. He created his own Annual Sound Healing Training Program in 2013 at the Sage Academy. CDs: BandCamp. Lea will guide you through a morning sadhana, using gentle yoga, yin style with the sounds of the sacred sound instruments. Sacred sound instruments include gong, south american charango, rattles, flutes, feathers, brass and crystal bowls, shruti box and voice for chanting mantras, shruti songs and icaros.